In the first half of the 20th Century, many Clevelanders started moving out of the city’s increasingly crowded urban core in favor of more spacious, suburban lifestyles. While a relatively easy feat for most upwardly mobile white Americans, African Americans had more of a challenge—facing discrimination, deed restrictions prohibiting them from buying land in certain suburbs, and downright racism. But a group of African-American pioneers defied the challenges and obstacles as early as the 1930s and, by the 1950s, had established roots on Cleveland’s southeast side in the Mount Pleasant, Lee-Harvard, and Lee-Seville (Miles Heights) neighborhoods. Todd Michney, author of Surrogate Suburbs: Black Upward Mobility and Neighborhood Change in Cleveland, 1900-1980, stresses that these neighborhoods are within Cleveland's city limits, but offered similar comforts of the suburbs. A native of Cleveland's southeast suburbs, Michney is a 20th century urban and African-American historian who has extensively studied the Lee-Harvard neighborhood history. Currently, Michney is a professor in the School of History and Sociology at Georgia Institute of Technology in Atlanta. Mount Pleasant and Miles Heights: By the 1930s, there was a large African-American population in the Mount Pleasant neighborhood, buying and building houses in a neighborhood otherwise made up of Italian, Jewish, and other Southern and Eastern European populations. The population also settled near the intersection of Lee and Seville Roads, known briefly as Miles Heights. According to Michney, this enclave began as the Bella-Villa allotment, started by Cleveland’s most prominent businessman, Herbert Chauncey, and the Great Depression left a lot of the land open for development. Stops and topics on the Mount Pleasant portion of the tour will include the former home of Ohio’s first African-American judge Perry B. Jackson (3296 E. 137th St.) and the former Boddie Recording Co. (12202 Union Ave). As Cleveland's mini-version of Motown, owners Thomas and Louise Boddie produced almost 300 gospel, soul, funk, and rock albums and 45s from 1958 to1993. The Boddies also had a record pressing plant that they built in a former commercial dairy on the property. Lee-Harvard: After World War II, African Americans were buying and building houses on land south of Miles Road before the first Black family moved into the then-entirely-Caucasian Lee-Harvard neighborhood in 1953. In July 1953, Wendell and Genevieve Stewart became the first African-American family to buy a house in the Lee-Harvard neighborhood at 15508 Talford Ave. The Stewarts’ arrival touched off tensions among their white neighbors, and the couple saw their house vandalized twice, requiring police protection. The controversy was mediated by Mayor Charles Burke and saw involvement by the NAACP, Jewish Community Federation, and St. Augustine Guild. “Black families who braved this kind of treatment were actually nicknamed ‘pioneers,’ with all the associations that implied—not just being first, but with the need for a defensive mentality like that of the supposed Western settlers," says Michney. “They persevered until their neighbors grew used to them, or—more likely in that era of blockbusting and white flight—until other African American families moved in." 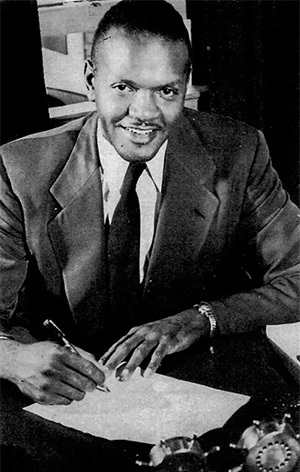 Al TabornProminent African-American builders include Arthur Bussey (who built an entire street of homes along Myrtle Avenue); Albert Taborn (who earned a National Builders citation from the Saturday Evening Post in 1959 for the high-quality ranch houses he was building in Lee-Seville); as well as Rufus Ranaldson and William Woodbridge. The African American-owned architecture firm Whitley & Whitley designed and built such landmarks as the Cleveland Public Library Harvard-Lee Branch (16918 Harvard Ave.). In 1971, the firm was also involved in building the recreation center at John F. Kennedy High School, (17100 Harvard Ave.). In the 1970s and 80s, leaders in these neighborhoods continued to build up the community, marking the first Black-owned commercial complex in the country in Lee-Harvard. “It was the place to be for the Black middle class,” says Michney. 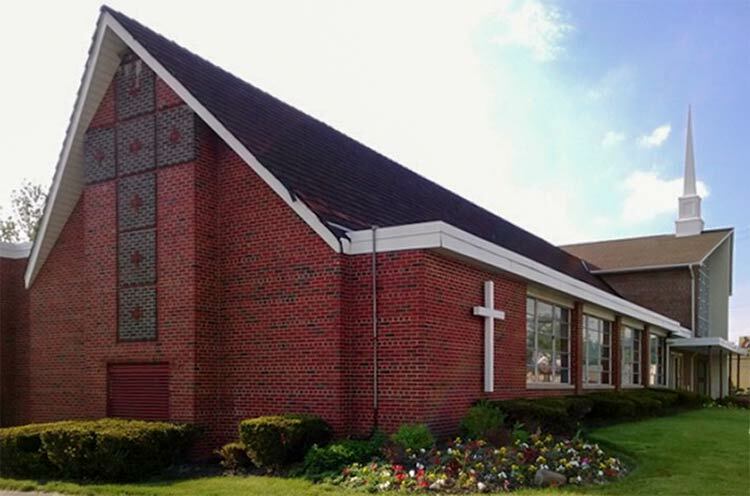 Saturday’s tour starts at 10 a.m. at Lee Road Baptist Church. Tickets must be purchased by Wednesday, August 1. The tour will conclude with a summarization of Cleveland’s African American suburbanization through the present day. Michney will also host a book signing for Surrogate Suburbs at 7 p.m. on Thursday, August 2, at Loganberry Books, 13015 Larchmere Blvd., Shaker Heights.